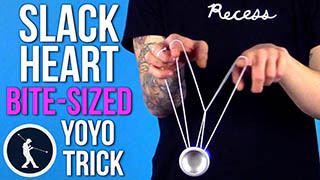 Learn the Rolling Inverted GT Yoyo Trick. This is the Rolling Inverted GT. It looks like this. 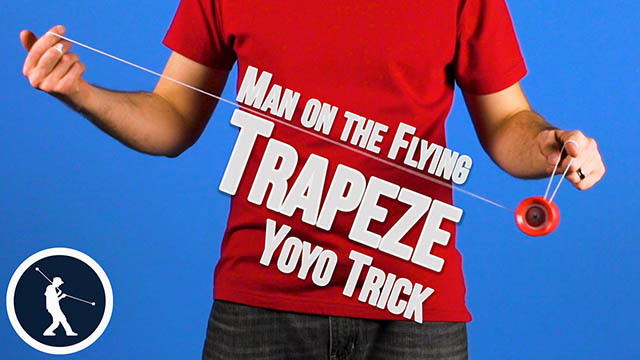 Start by throwing a Trapeze. 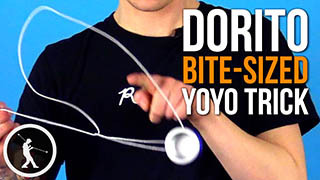 Using your throw hand you are going to reach over and grab the string that is on the outside of the yoyo, not the string that is connected to the yoyo. I am going to pull it over with my throw hand. You will see that both of my index fingers from my throw hand and non-throw hand are pointed towards me right now. 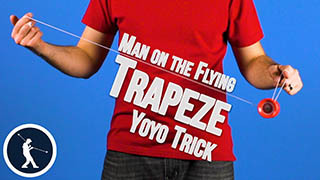 For this next step you are going to flip them over and point them away from you. 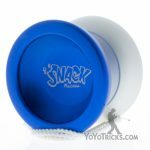 You are going to pull your hands apart pushing the yoyo up towards this top string, what you are going to do is flip the yoyo over top of your throw hand. Just like that. 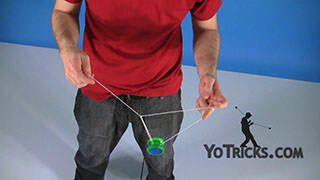 What that does is it creates this twist down by the yoyo, which allows your yoyo to create that upside down Green Triangle, or Inverted Green Triangle. Once you have the string pinched this way, and like I said, you are pulling your hands apart and rolling it over your finger – in order to get the yoyo to bounce against the top string and create that triangle – what you are going to do is your yoyo will be hooked… your string will be hooked around your index finger like this on your throw hand, and what you are going to do – again – is pull them apart, your yoyo is going to bounce up into this string and you are going to let go of the string off of the index finger of your throw hand and your yoyo is going to exit out the back of the mount. 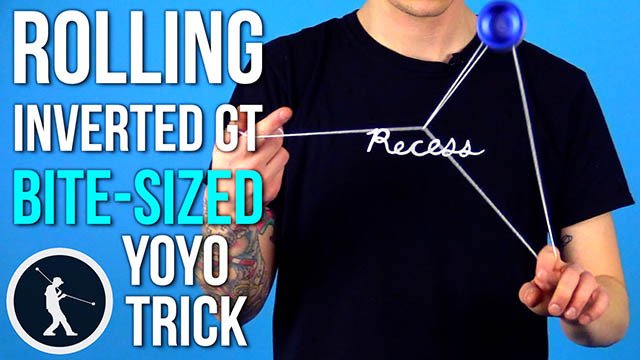 Once you combine all of these elements together smoothly, this trick looks great as a repeater. And that is the Rolling Inverted GT.